Challenger Center Hawai‘i (CCHI) opened its doors in April of 1993 with the goal of educating and inspiring children to develop fundamental skills while engaging in space explorations. 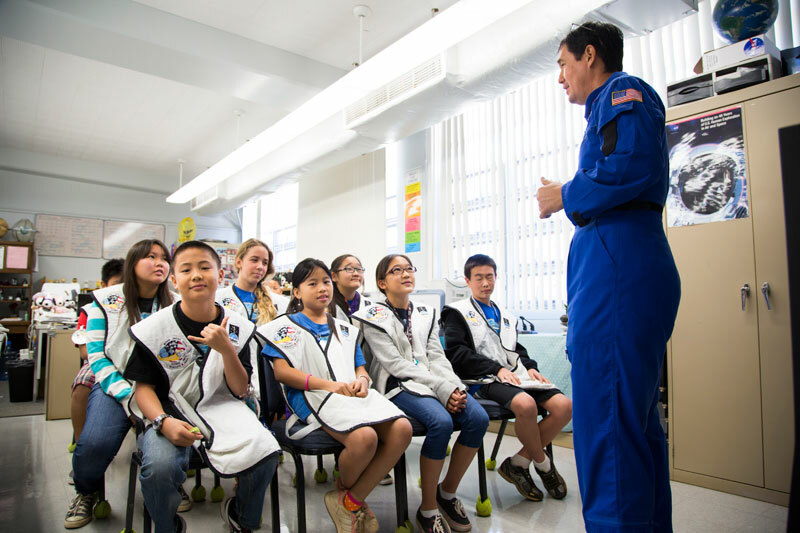 As part of the Challenger Center for Space Science Education, CCHI consistently delivers an exciting space simulation experience where students are given the opportunity to solve real-world problems as they explore the wonders of deep space. Teachers lead students in six to eight weeks of classroom preparation, culminating in the hands-on application of knowledge and critical thinking on Mission Day. The realistic missions — Return to the Moon and Rendezvous with Comet Halley — provide a rare forum for students to apply vital decision-making skills and learn the value of teamwork as they join forces to accomplish their collective objectives and complete the mission successfully. Funded by the Department of Education, CCHI cultivates the spirit of adventure, encouraging students to reach their potential and uncover hidden talents in many different facets of cognitive and social aptitude. Mission tasks allow participants to experience the pure joy of learning and encourage the mastery of life skills that will prove valuable in future endeavors like choosing a career path. Open-ended and inquiry-based questions lead students to test their problem-solving abilities. Collaborative goals encourage teamwork and the development of trust. No matter what strengths or limitations each student possesses, mission success is possible for all.